Mount Pleasant Village President Dave DeGroot, left, Louis Woo of Foxconn and Racine County Executive Jonathan Delagrave sign the development agreement with Foxconn on Dec. 1 at the Mount Pleasant Village Hall. Foxconn’s arrival was the biggest news event in the county for 2017, as determined by The Journal Times staff. MADISON — Wisconsin has converted several local roads near the future Foxconn factory in Mount Pleasant into state highways to access state road repair and improvement funding, a new state report has disclosed. But the move could siphon $134 million from other highway projects around the state, according to a Legislative Fiscal Bureau memo. Gov. 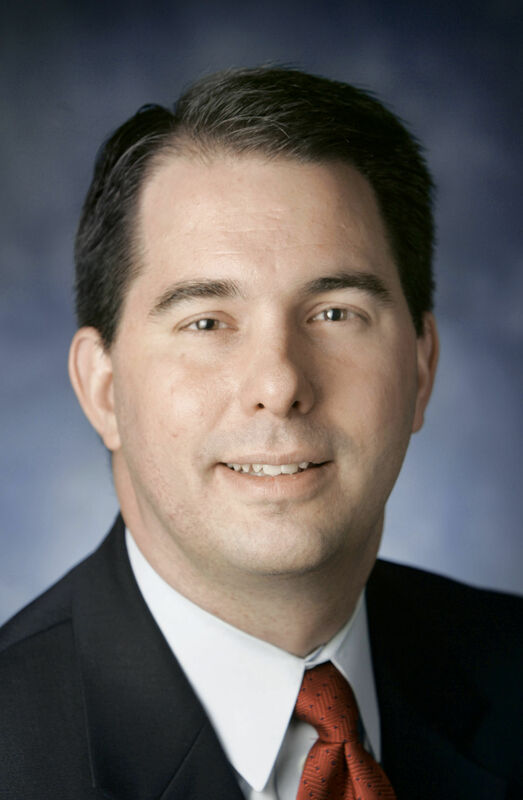 Scott Walker says savings from other road projects will help cover those costs. The Taiwanese manufacturer is already receiving $3 billion in state credits, plus $764 million in local property tax incentives to construct a $10 billion liquid-crystal display plant that is expected to employ as many as 13,000 workers. A local utility company also has asked state regulators for a $140 million project to supply energy to the plant, a cost that will be born by local ratepayers. The fiscal bureau memo to Assembly Minority Leader Gordon Hintz, D-Oshkosh, now reveals the previously unknown cost of local road improvements on top of the $252.4 million in state bonding that was authorized to pay for the nearby expansion of Interstate 94. It’s unclear which statewide road projects would be affected if money is used instead to improve roads in Racine County. But fiscal bureau analyst John Wilson-Tepeli explained in the memo that because the roads in Racine County were local roads when the 2017-19 budget was adopted it is “unlikely” that the work was accounted for in the state highway rehabilitation fund during the budget debate. “Therefore, the use of state highway rehabilitation funding to complete this work near the Foxconn site would likely result in the delay of other, previously planned rehabilitation projects on state highways,” Wilson-Tepeli wrote. Walker spokesman Tom Evenson said the funding for Racine-area roads near Foxconn would come from savings from other highway projects being completed ahead of schedule. He said the state has freed up more than $100 million for additional highway projects due to cost savings and better-than-anticipated revenues. Walker plans to announce Monday one of the state’s major highway projects will be completed ahead of schedule, resulting in cost savings, he said. “Thanks to these savings we are ahead of the curve,” Evenson said. Patrick Goss, executive director of the Wisconsin Transportation Builders Association, said the unexpected funding for the Foxconn road projects highlights how there is already not enough revenue to meet current highway needs. The Department of Transportation didn’t give the fiscal bureau an exact estimate for the local Foxconn roadwork when it was requested, which Hintz said is a problem. The fiscal bureau found the $134 million cost estimate referenced in a grant application for $246.2 million in federal funds for the nearby I-94 project. The projects include expanding Braun Road into a six-lane highway and Highway KR into an eight-lane highway, each with two lanes of dedicated lanes for autonomous, or driverless, vehicles. Foxconn plans to shuttle 4,000 workers per shift on connected autonomous vehicles between parking lots west of Interstate 94 and the factory about two miles east of the expressway, according to the DOT grant application. The DOT is also working with Foxconn on future automated freight lanes in the same corridor. Earlier this month the DOT published its schedule for contracts estimating the local Foxconn road projects would cost between $73 million and $87 million, with the remaining $50 million presumably coming in future budgets. The state’s highway rehabilitation fund totals $1.62 billion in state and federal funding in the current biennium, which is down 4.6 percent from the last biennium. The unanticipated Foxconn road funding represents about 10 percent of the highway rehabilitation funding coming from the state’s transportation fund over the current two-year biennium. The state highway rehabilitation program covers resurfacing, widening and reconstruction projects of state highways. The DOT’s central office develops — based on road conditions and other factors — an eight-year schedule of projects for backbone state highways and its regional offices develop six-year schedules for non-backbone highways. The program doesn’t include the major highway projects, such as the Interstate 39-90 widening, or the southeastern Wisconsin mega-highway projects. After 4 Billion into the zoo interchange, this doesn't seem like much at all. Good! I don't know about you, but I'm all for LESS construction, lol.